In light of the situation with “Hana ni, Kamitsuku” will we be resuming two neglected series instead. 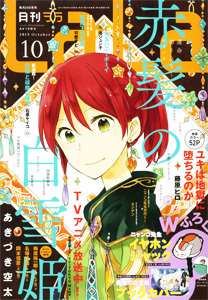 “Magical Change” and “Yuurei Apaato Kanrinin” are returning to Crimson Flower. The next chapters in the series are already begun and we will begin releasing in March. I will do some batch release blog posts so readers can catch up on the series. In the meanwhile, given the data I’ve collected from the oneshot releases in the last 6 months, I will re-evaluating future series and oneshots. I’m forming my thoughts about it now for a later blog post! The April oneshots will go back to our shoujo challenging ways. It’s been made pretty clear to me that most of you don’t like typical shoujo, so we’ll follow our hearts again and do the challenging stuff. I’m excited to see the change in content though. I really liked the stuff you released back in the day, over at Bakeneko’s Lair. So hyped! Of course, thanks so much for keeping us in mind, and informed. Glad to hear your resuming Yuurei Apaato Kanrinin. Looking forward to it! I’m happy you’re staying true to your interests. Don’t let other groups get you down. I never realized the negative impact Otakumole was having.